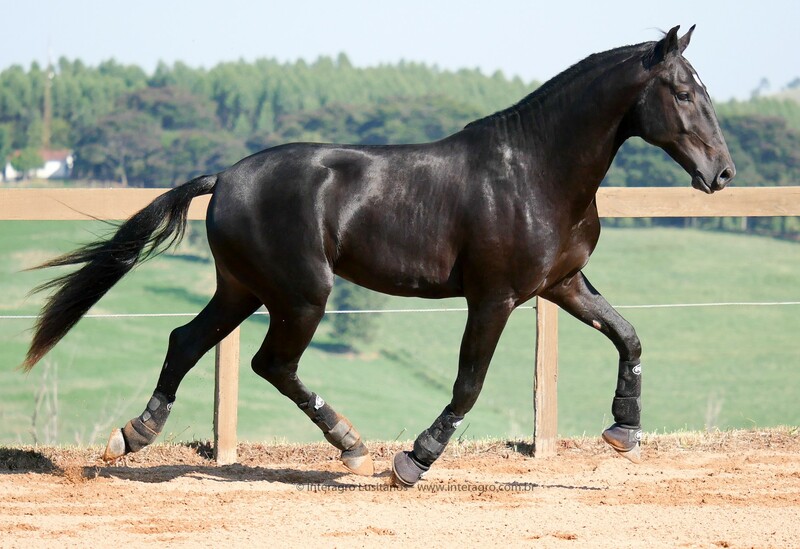 This elegant, coming 4-year-old black stallion has a temperament to match his exterior beauty. 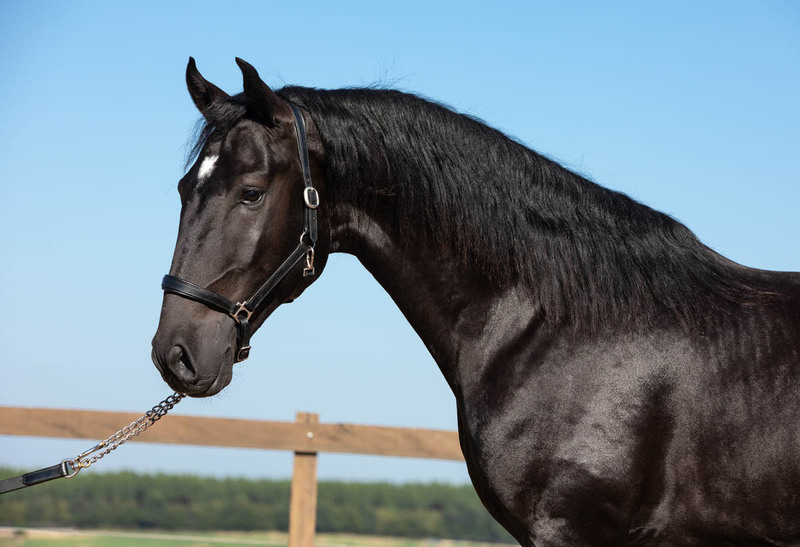 Started under saddle in November of 2017, he has three very correct gaits and is very comfortable to sit. 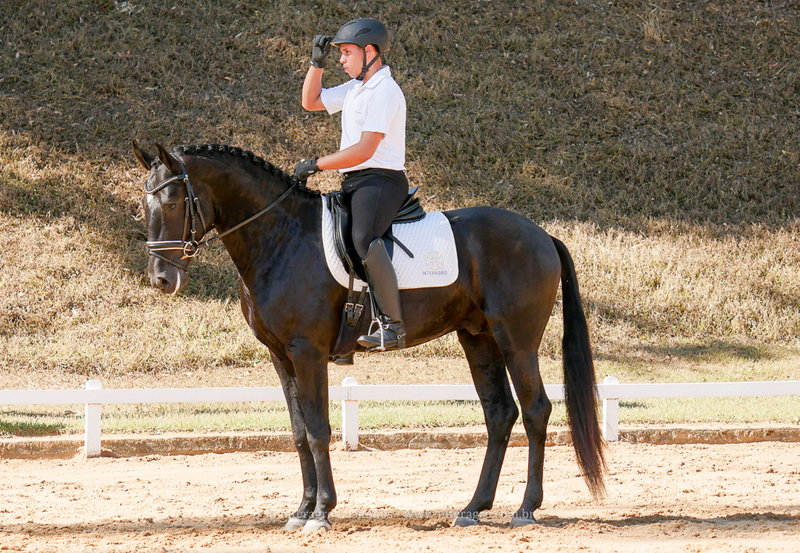 His impeccable character includes focusing his energy on the work asked of him, along with an eagerness to learn and attentiveness to his rider. 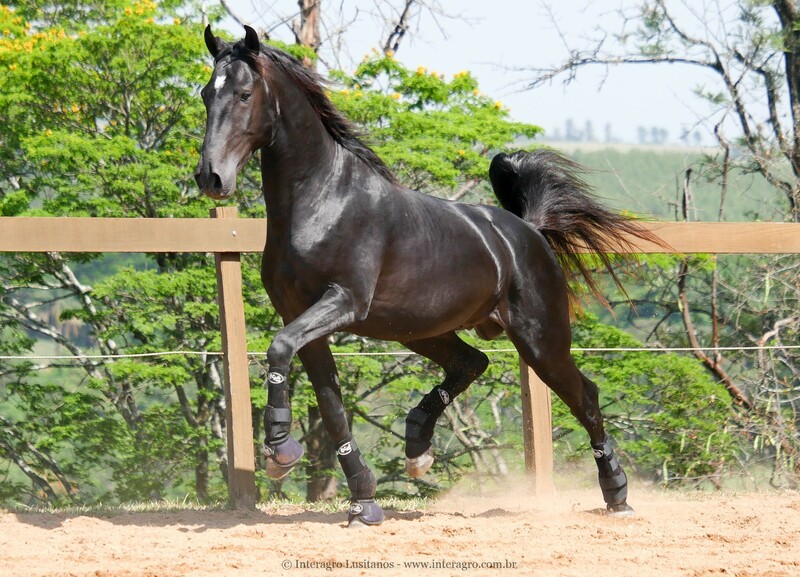 Radiographed in December of 2017, this handsome Lusitano will be well suited for just about any discipline. 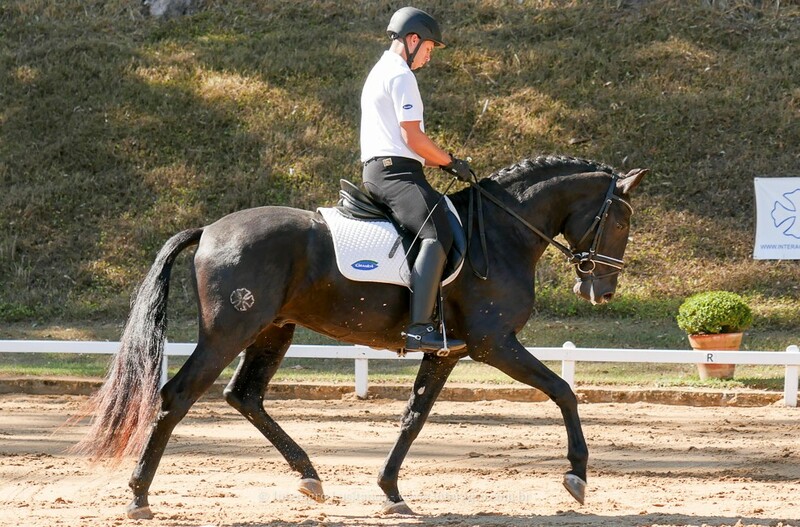 He is the first son of Fagulha Interagro, a jet back broodmare who was revised with a score of 70 points. 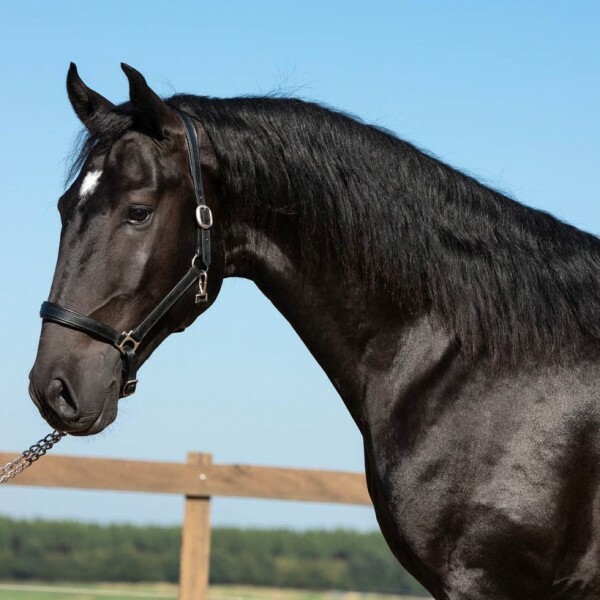 Fagulha is the daughter of Zingaro Interagro and the prolific broodmare Trovoada Interagro; Trovoada is a black daughter of the buckskin stallion Nicola (MAC), and has produced a consistent line of talented and athletic progeny. 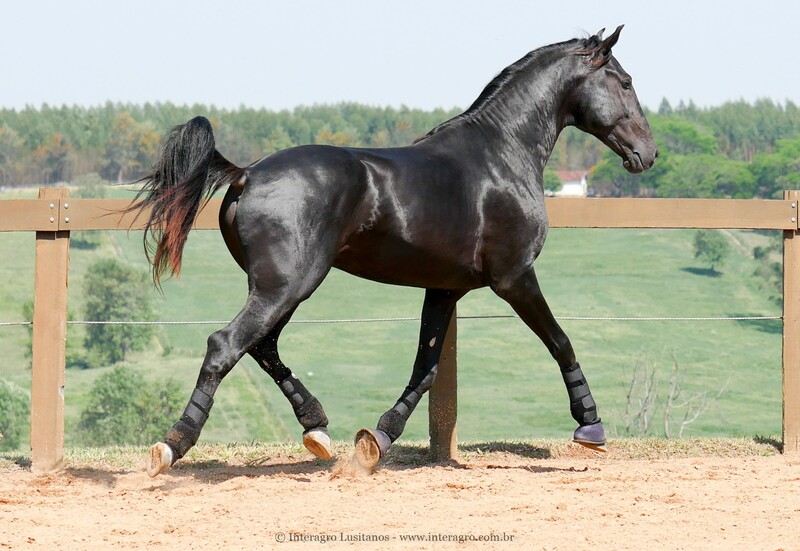 Her first son, Zulu Interagro, was the high selling horse at the 2008 Lusitano Collection Auction in the US. 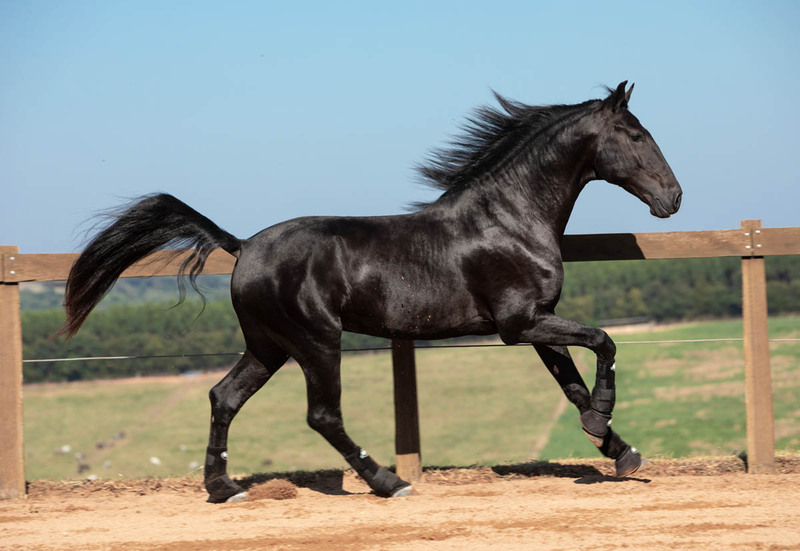 Another son of Trovoada, Blackstone Interagro, sold at the 2010 Lusitano Collection Auction and is currently competing in the Prix St. Georges in the US with scores up to 69%. 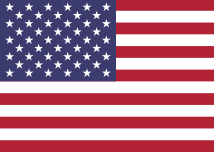 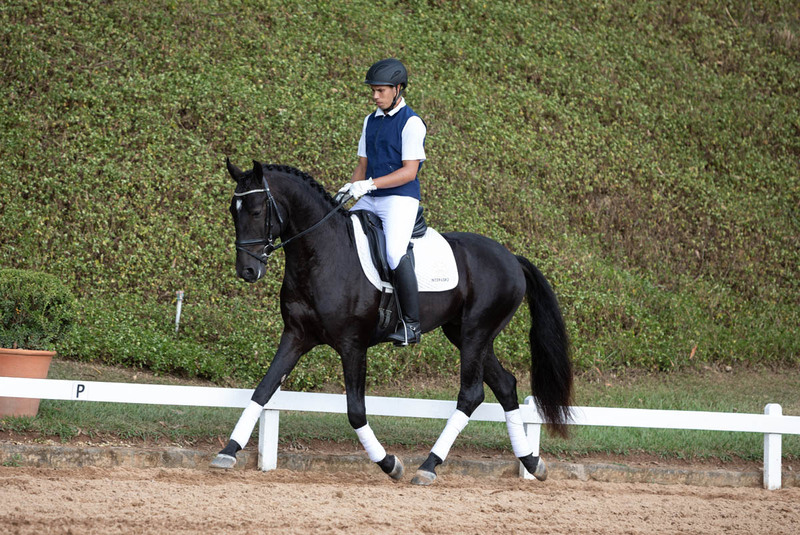 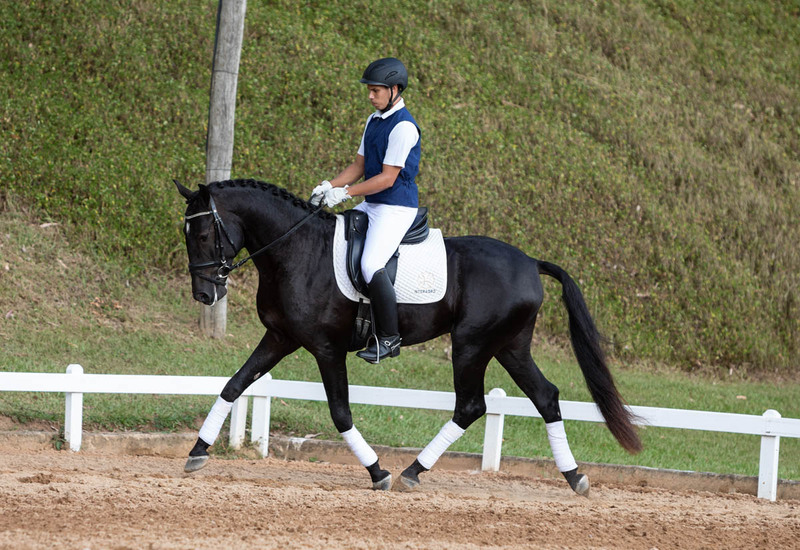 Horácio Interagro, the most recent male she produced, made his dressage debut in the US with a high score of 70%. 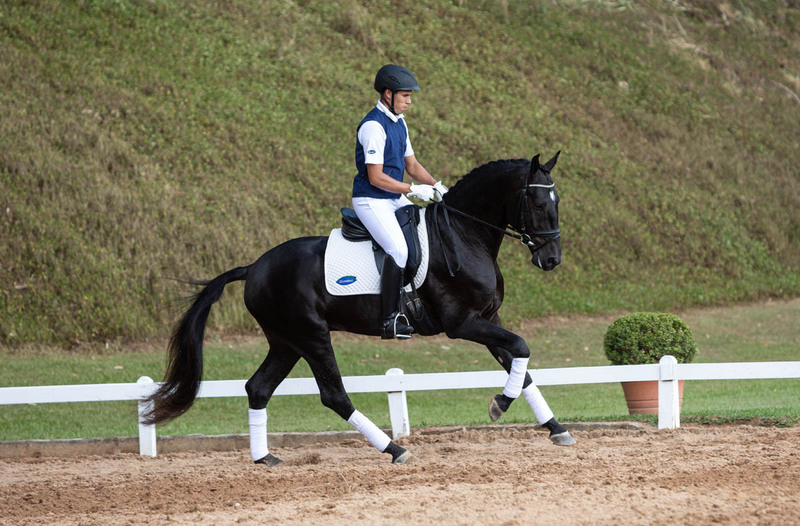 Ladino’s sire, Nordeste (SS), is an outstandingly beautiful black stallion bred by Mr. Manuel Braga from Sociedade das Silveiras. 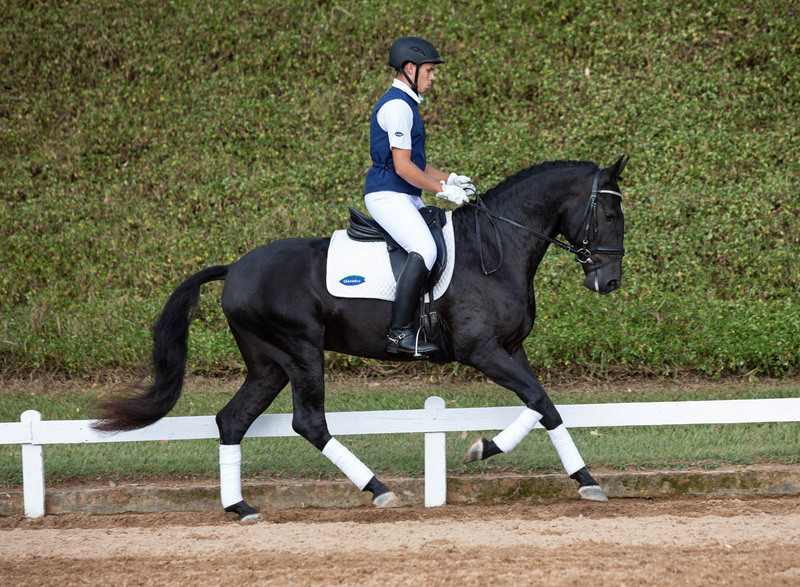 Before being exported to Brazil from Portugal, he won a number of tests at the Prix St. Georges level, and produced a populous crop of superior quality offspring, both at Sociedade das Silveiras and at several other Portuguese breeders. 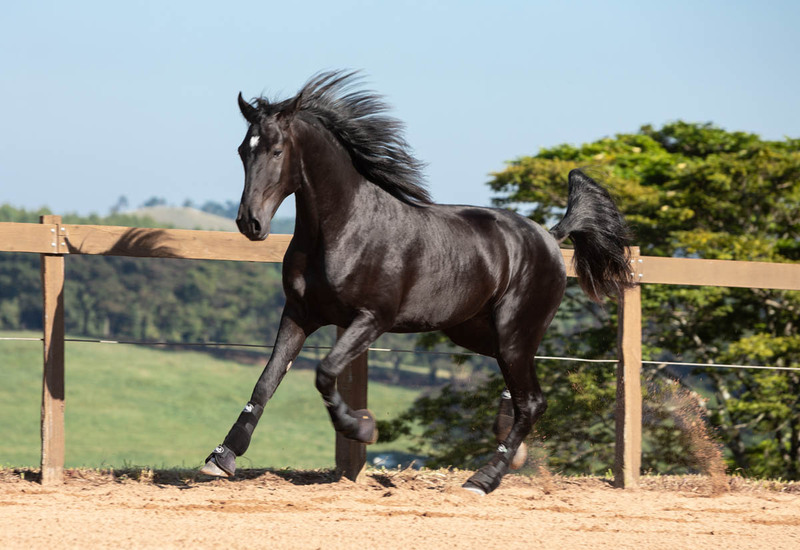 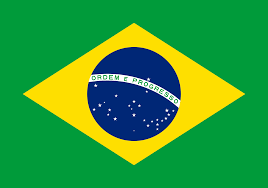 Following his exportation, Nordeste’s first Brazilian offspring belong to the A Generation and are out of mares from a variety of lineages, especially those with colored coats. 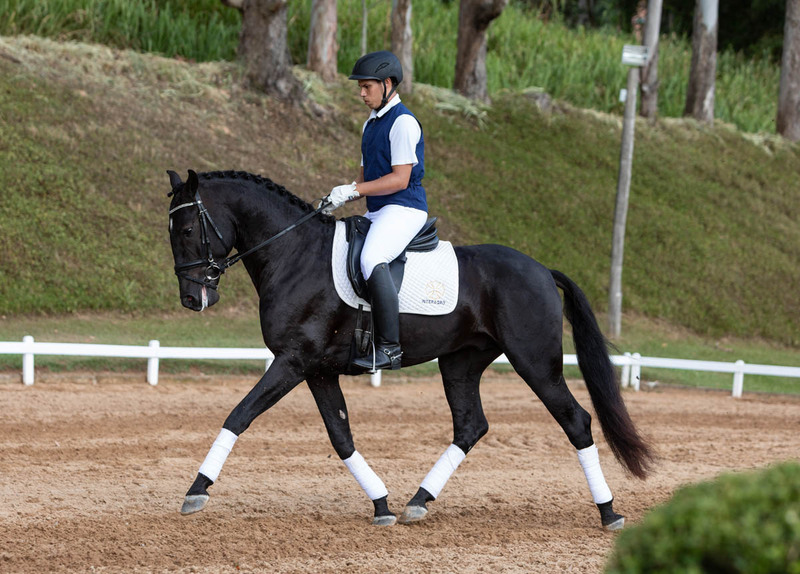 As a son of Trinco (MMT), a stallion bred by Coudelaria Romão Tavares, Nordeste exemplifies the quality sought by the very traditional Portuguese breeder, who is also well-known for their bullfighting animals. 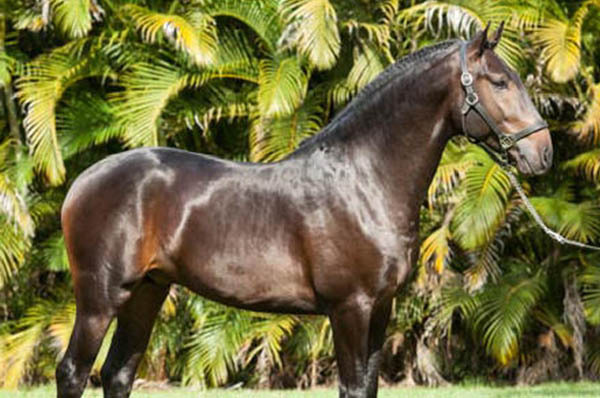 Trinco is by the famed Firme (SA), one of the best-known stallions in the Lusitano breed. 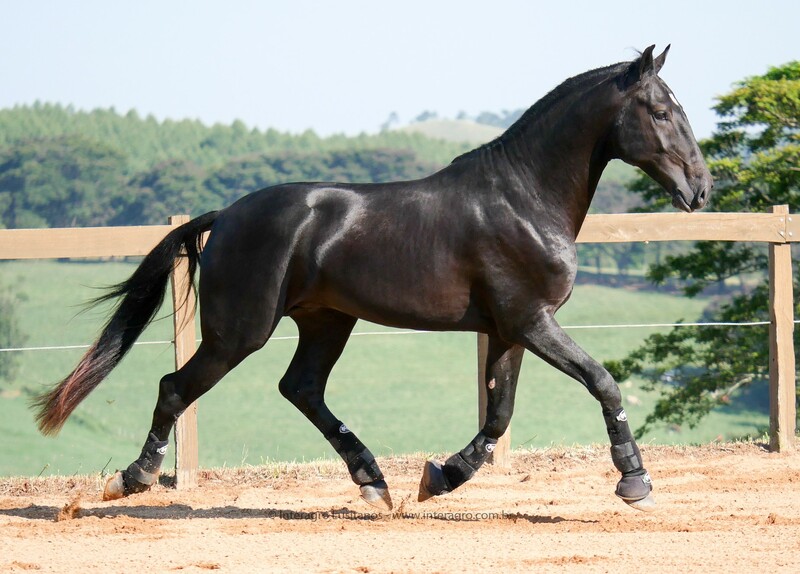 Firme (SA) sired is by Novilheiro (MV), thus becoming the head of the very important Firme/Nilo/Novilheiro lineage. 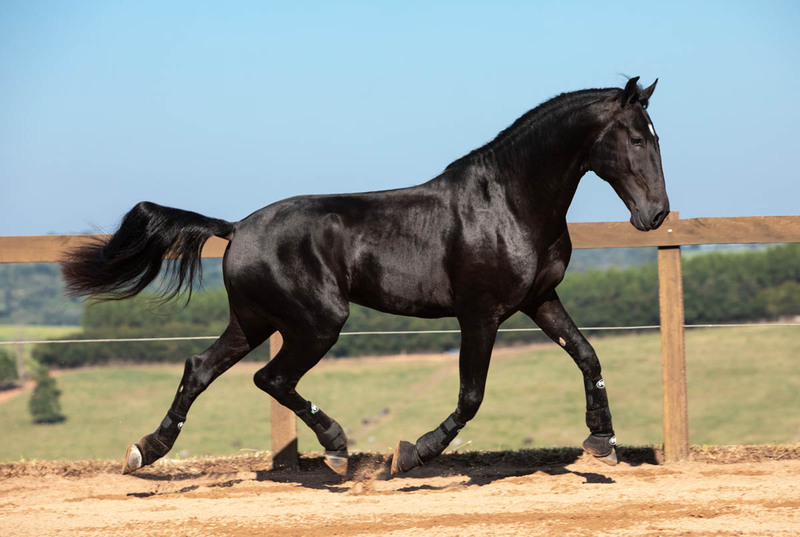 Nordeste’s dam, Xaqueca (CI), is a black Quina (CI) mare who has produced numerous exceptional horses, demonstrating the quality progeny from the cross between Firme/Nilo/Novilheiro and Quina mares. 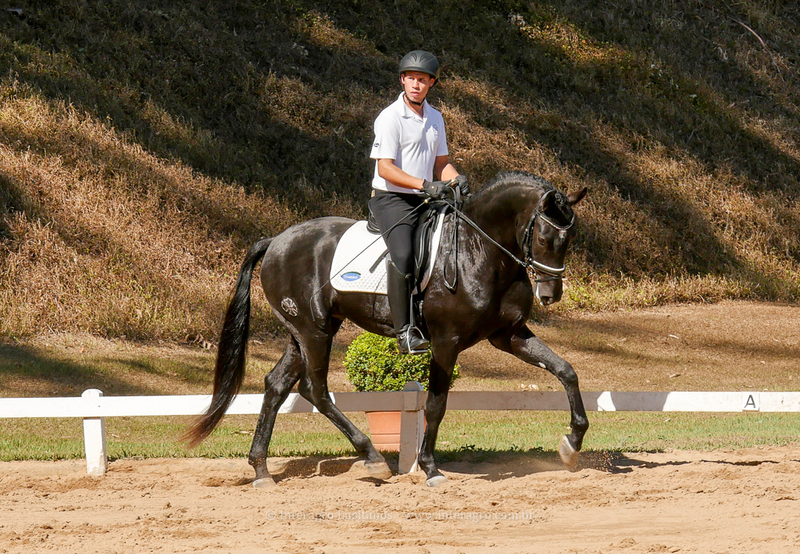 Achieving this fusion of bloodlines and quality has been one of the greatest achievements of Interagro’s breeding program, creating one of the basic lines for the formation of the Interagro horse: animals of great beauty, size and athletic qualities specially bred for the dressage arena.